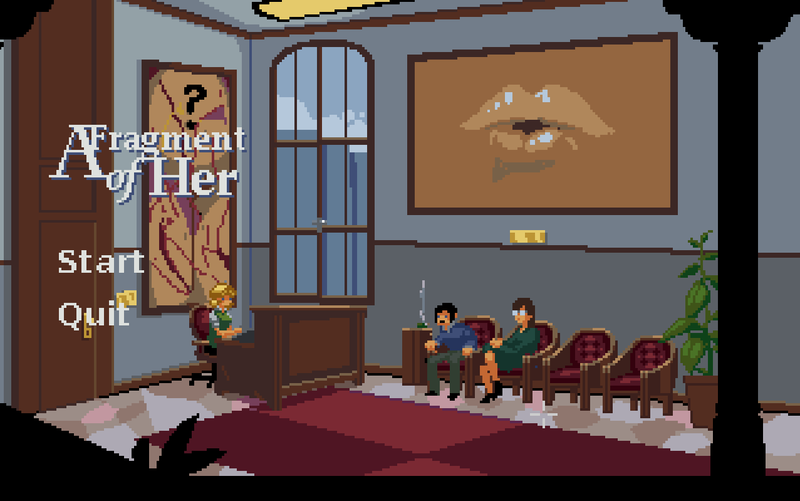 We’ve finally finished our Point & Click Jam 2014 game A Fragment of Her! The size of the game (we prefer to call it an “Interactive Short Story“) has significantly increased: A playthrough should take now 30 to 50 minutes instead of only 10 to 15 minutes. So, A Fragment Of Her finally contains all the content we had initially planned and designed for the Point & Click Jam back in November 2014, but weren’t able to finish in time. PLUS: We ported the first third of A Fragment of Her to Unity so it can now be played directly in the web browser! Just visit our Gamejolt game page or play it directly here at the chonerion entertainment website! We’re super-excited and can’t wait to hear your feedback! If you like A Fragment of Her, we would be endlessly grateful if you could spread the word. Thank you so much and have fun with the full version of A Fragment of Her! The A Fragment of Her team.